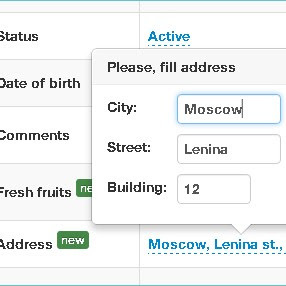 X-editable supports in-place editing with Twitter Bootstrap, jQuery UI or pure jQuery. This library allows you to create editable elements on your page. It includes both popup and inline modes. It’s new life of bootstrap-editable plugin that was strongly refactored and improved.